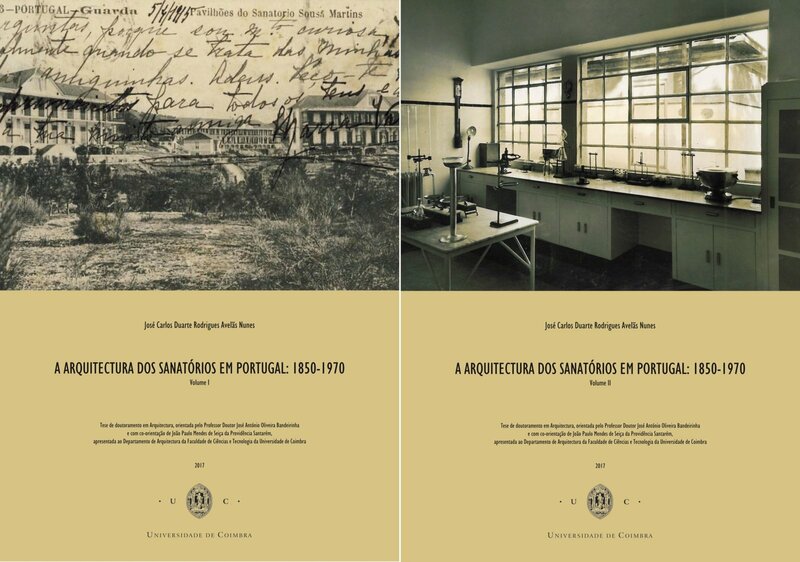 The Cultural Council of the University of Minho has distinguished CIUHCT researcher José Carlos Avelãs Nunes with the Victor de Sá Award in Contemporary History 2018, for his PhD dissertation "A Arquitectura dos Sanatórios em Portugal:1850-1970” [The Architecture of Sanatoria in Portugal: 1850-1970], ex-aequo with Emanuel Cameira, for his work "A &etc de Vítor Silva Tavares - narrativa histórico-sociológica” [The &etc of Vítor Silva Tavares — historico-sociological narrative]. In José Avelãs Nunes' distinguished work, he studied the architecture of sanatoria built for the treatment of patients with tuberculosis in Portugal, from 1850 to 1970. These equipments constitute a marked presence in the architecture of that period, mirroring a range of scientific and programmatic changes in the fight against this disease, which relied, in large measure, on these structures. The data collected from national archives allowed for the study of the first empiric sanatorial experiences in Portugal, as well as the comparative analysis of those spaces, its architecture, architects, and physicians, and the sphere of power around them, since their funding, planning, approval and execution. José Avelãs Nunes has concluded his PhD in the University of Coimbra in 2018. Since 2016 he has been an integrated member of CIUHCT and a researcher in the project VISLIS - Visions of Lisbon. CIUHCT congratulates its researcher for this distinction and wishes him the continuation of the success he has achieved in his work. The jury of the Victor de Sá Award in 2018 was presided by Viriato Capela, full professor at UMinho, joined by professors Jorge Alves, from the University of Porto, and Raquel Henriques, from the NOVA University of Lisbon. The contest was very participated, revealing the prestige and vitality achived by contemporary portuguese historiography. The award was started in 1991 by humanist Victor de Sá, and later recognised by the Secretary of State of Culture for its cultural relevance. It is also supported by public and private patrons. The researchers Gonçalo Antunes and Tânias Alves were also acknowledged, with honorary mentions. The awards ceremony and the presentation of the winning entries will take place in December 12, 3pm, at the Salão Nobre, of the University of Minho, in Braga.